This is a great table for restaurants, and cafes. Features a decorative top available in cherry, mahogany, walnut, 2 granite colors and more. No matter your decor colors, we have a laminate to compliment it. This table will seat 8 people comfortably. 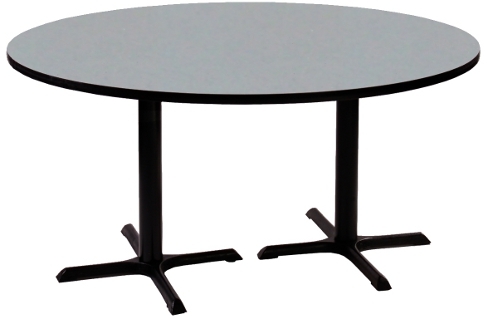 The table has 2 extra wide 22" x 30" cross bases for extra stability. Applications include cafe, restaurant, cafeteria, break room or any other commercial environment. Base Width 22" x 30"
This table is shipped in 5 boxes, and ships via freight.